These Monadnock Front Draw® Holders with Clip-On backs are designed for the AutoLock® batons. 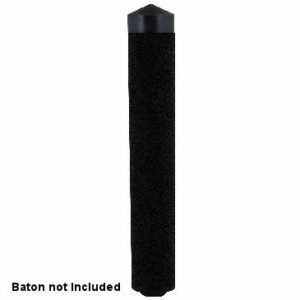 The holders are made from durable polycarbonate and feature a molded tension spring for baton security. The design is comfortable to wear and offers a quick draw from any position. Remember: You need the appropriate holder for the style of AutoLock used. 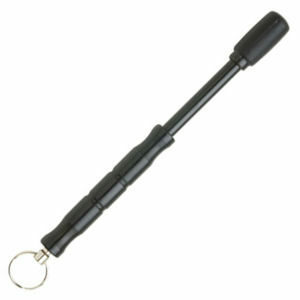 This is to facilitate the ability of the officer to put the baton in the holder while in the locked open position. 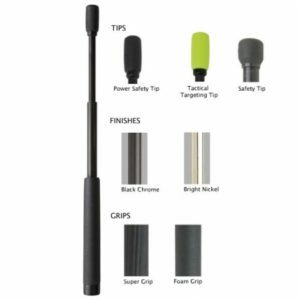 • 18″ (45.72 cm), 22″ (60.96 cm) and 26″ (66.04 cm) baton holders have the horizontal cut bottom to be able to receive the Power Safety Tip style baton. • If using the 2 ¼” (5.715 cm) belt, the pad may or may not be necessary depending on the thickness of the belt. You might place undue stress on the holder. Note: You may use ½ the pad for off duty belt. Make sure the proper holder is chosen to the appropriate AutoLock® baton. This is important as far as high or low carry of the baton is concerned. Good balance is important for the ease and comfort of wear to the officer. 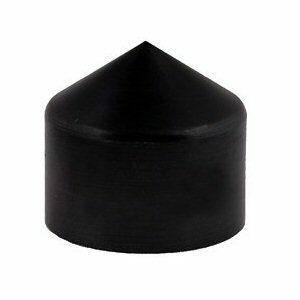 Excellent product that is well designed. I researched all the different batons on the market before selecting the Monadock 22″”. This baton in my opinion has better features than the others I viewed.